Foster, adoptive and kinship families will find a wealth of resources at azfamilyresources.com. If you learn about a new resource that’s not listed on this site, please contact Kristi and we’ll reach out and get it added. Are you interested in becoming a foster parent? Good for you. In the words of one member, “it’s the hardest job you’ll ever love.” To learn more, click the link to the AZ Department of Child Safety below.  To talk to a an experienced foster or adoptive family, contact AZAFAP at 602-884-1801. AZAFAP is developing support groups across the state. We are currently looking for facilitators in all areas. Training is now available to interested Premier AZAFAP Members. To learn more details about the support groups and how to become a group facilitator, email info@azafap.org. Monthly support group meets on a Thursday in Gilbert. Check the ASA website for location and dates. Central Christian Church Gilbert meets the second Thursday of the month at 965 E. Germann Rd, Gilbert from 6:30pm – 8:00pm. Meets the third Wednesday of the month at 4450 E. Elliot Rd., Gilbert and counts towards training hours! Childcare with advanced registration is $5 per family. Click here to visit their events page. Meets the first Friday of each month, 6pm at Harvest Church – 8340 W. Northern Ave, Glendale, AZ 85305. Adoptive/Foster/Kinship Parent Support Group. 2nd Wednesday of each month, 7:00 pm – 8:30 pm, 21436 N. 20th Avenue, #201, Phoenix AZ. (park by the mail boxes) Bring a notebook or journal. You must contact Carol Barger at carolbarger@adoptive.org if you are planning to attend. AZ Kids Consortium has compiled a list of foster & adoptive family licensing agencies. Click here to learn more. Be seen and have a completed assessment within 72 hours of removal. and remain open for behavioral health services for a minimum of 6 months. Each RBHA has a DCS Liaison to assist DCS staff and foster families with accessing necessary behavioral health services. The RBHAs have a single point of contact to assist foster parents with ensuring that children removed by DCS receive appropriate and timely behavioral health services to meet their needs. The RBHA DCS email single point of contact can be used by DCS staff, foster parents, and congregate care providers to send questions and/or request any assistance in navigating or obtaining behavioral health services. If you are unable to satisfactorily resolve your concern through the single point of contact at the RBHA or their member services line, please contact the DBHS Customer Service line for support at 602-364-4558 or 1-800-867-5808. This allows the state to not only address individual concerns but also identify and resolve barriers to accessing quality services that could impact others. Anyone can call Customer Service whenever you are experiencing difficulty with accessing needed behavioral health services in a timely manner or have concerns related to the quality of services received. We are here to support foster families! Unable to reach your Case Manager in a timely fashion and need an answer now? The Foster Parent Warm Line is a toll-free number for resource parents who are experiencing crisis situations and cannot reach their Child Protective Services’ (CPS) case manager in a timely manner. By calling 1-877-KIDSNEEDU (1-877-543-7633) and selecting Option 3, resource parents will be connected to a Warm Line designee. The line is staffed from 8:15a.m. to 4:30 p.m. Monday through Friday. Messages may be left at any time of the day or night. Staff’s goal is to respond to those messages within the next business day so resource parents feel supported in getting their needs met in serving our children. The intent of the Warm Line is to provide resource parents with information, assistance with authorizations for services, timely communication, and support. It is not intended to discourage or replace direct and regular communication between the CPS case manager and the resource parent.